All videos and categories with female vs. female action. 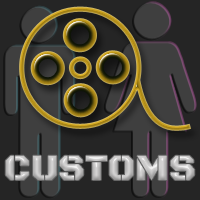 All our videos and categories which feature male vs. female action. All our videos and categories which have been directed by our customers, the custom videos do not have exclusive rights to these customers. All videos filmed in HD are in this category. Features real wrestling matches between two teams. Matches are either (2 vs 2) or (2 vs 1). These matches have no breaks, no cuts and winner is by total submission. Filmed in Full HD. 100% Real amateur forced facesitting. The videos in this category have some of the best forced facesitting action. 100% Real Female Catfights. Intense action, none staged and none fake. Browse through our Oil Wrestling videos. Old productions during the days of VHS tapes. Now available for Download and in DVD format. Wrestling and catfight matches filmed in the outdoors, grass, trees and dirt. Tag team wrestling and catfights. Tag team videos consists of 2 vs 2 or 1 vs 2 matches. Videos in this category contain a school girl pin in either the first or second round. This pin is common amongst newcomers with no or little experience. Custom orders are used to pay for content or additional services which may not be available through our catalog.